Although the roots of Outsider Art can be traced back thousands of years, it is most useful to look back to its most recent precursor, art brut (Raw Art) to hear the most vital articulations of its true spirit. In his 1947 manifesto, French artist and curator Jean Dubuffet described the term art brut as follows: "We understand by this term works produced by persons unscathed by artistic culture, where mimicry plays little or no part (contrary to the activities of intellectuals). These artists derive everything...from their own depths, and not from the conventions of classical or fashionable art." 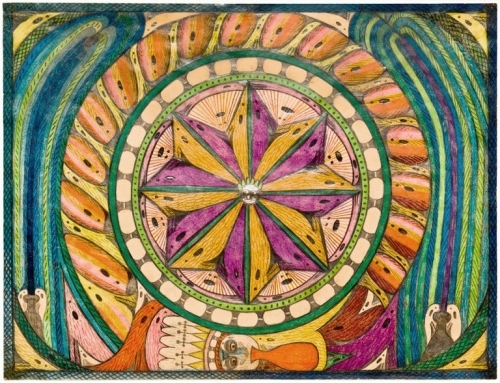 In his 1972 book championing art brut, Roger Cardinal called it Outsider Art: "I believe that a paramount factor in the critical definition of the creative Outsider is that he or she should be possessed of an expressive impulse and should then externalize that impulse in an unmonitored way which defies conventional art-historical contextualization." Dubuffet and Cardinal were writing primarily about extremely marginalized European artists: psychotics, mediums, and eccentrics. This has caused the common misconception that Outsider Art is essentially pathological, when in fact the central characteristic shared by Outsiders is simply their lack of conditioning by art history or art world trends. 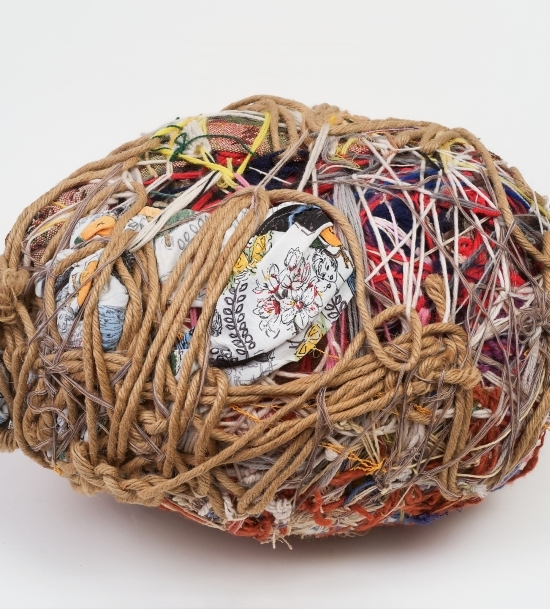 Over the years, the parameters of Outsider Art have expanded dramatically to include art made by a wide variety of art-makers who share this common denominator of raw creativity. Outsiders come from all walks of life, from all cultures, from all age groups. In recent years, Outsider Artists may have even come to outnumber Insider Artists who have achieved critical validation within the elite art world, and yet who speak with increasingly less clarity and relevance to us about the human experience. Dubuffet's description of officially recognized art has never been more relevant: "everyone immediately sprinkles it with champagne, and lecturers lead it from town to town with a ring through its nose. This is the false Monsieur Art." 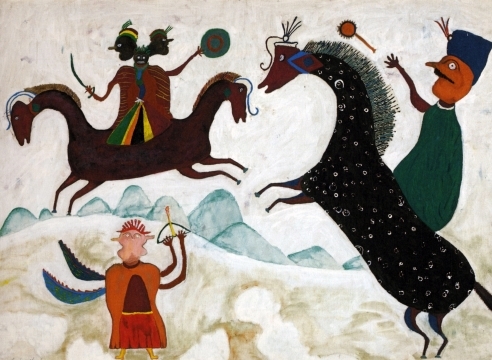 The genesis of Outsider Art could well be traced to an imagined prehistoric cave wall, to the work of your favorite eccentric visionary (think William Blake), or to the mythic artist-genius dreamed up by Romantic philosophers and poets. Outsider Artists began to emerge as a force to be reckoned with during the early 1920's, with the publication of two pioneering studies of art made on asylum inmates, conducted by European psychiatrists in search of universal truths about human creativity. German Expressionists soon fell in love with the schizophrenic artists presented in these books--especially Adolf Wölfli, Karl Brendel and August Naterrer--and adopted them as creative muses by appropriating their imagery. In Paris, the Surrealists looked to the same books for inspiration, and also to Spiritualist Mediums such as Augustin Lesage and Helene Smith who were famous local practitioners of automatic drawing. It wasn't until after World War II that Outsider Art was truly recognized as more than simply source material for the modernist avant-garde. The French artist Jean Dubuffet took the Surrealist obsession with Outsiders to a new level by daring to collect and exhibit their work. Not only did he champion the artwork of schizophrenics and local mediums, but he also celebrated art made by eccentric isolates and self-taught laborers. Dubuffet recognized in the work of these divergent groups one unifying trait: a raw quality untouched by academic rules or current trends. In 1947, Dubuffet staged a ground-breaking, manifesto-driven exhibition in Paris, aptly naming his category art brut (Raw Art). Dubuffet's Collection de l'Art Brut grew in the subsequent decades, and eventually found a home in Lausanne, Switzerland, in 1976. 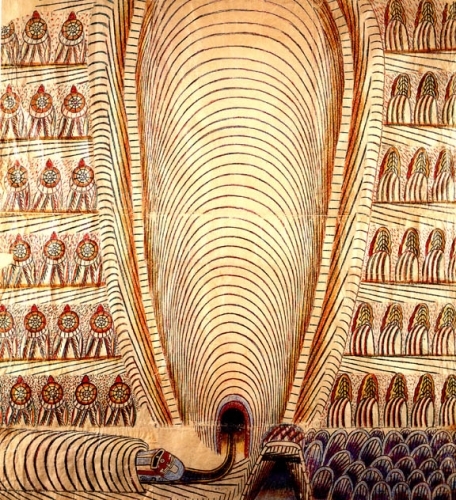 This unique collection might well have remained in isolation, if not for the publication of a 1972 study of art brut entitled Outsider Art written by the British scholar Roger Cardinal. Cardinal's book, and his 1979 London exhibition Outsiders, launched Outsider Art as a powerful global force that continues to challenge and redefine the limits of what we call art. The critical definition of the creative Outsider is that he or she should be possessed of an expressive impulse and should then externalize that impulse in an unmonitored way which defies conventional art-historical contextualization. Augustin Lesage, Untitled, 1927, oil on canvas, 47x37cm. Dubuffet did not permit his Collection de l'Art Brut to circulate after its permanent installation in Lausanne, in 1976. While previous exhibitions like Harald Szeemann's 1972 edition of Documenta brought wider attention to the radical category of art brut in Europe, it was the 1979 Outsiders exhibition at London's Hayward Gallery that launched it internationally. Co-curators Roger Cardinal and Victor Musgrave expanded Dubuffet's original vision to include American artists such as Henry Darger, Martin Ramirez and Joseph Yoakum, opening the door to artists influenced by vernacular culture, a trait Dubuffet had previously rejected. What had started as a focused challenge to the rigid limits of the mid-20th century Paris art world was now emerging as an international phenomenon poised to unify a vast range of marginal art under the banner of Outsider Art. By the early 1980s, Outsider Art began to radically transform the field of American Folk Art. Curators, collectors, scholars, and critics who had been struggling unsuccessfully to fit contemporary marginalized artists into the traditional category of Folk Art began to adopt the revolutionary spirit of Outsider Art. Collectors and curators began to make bold, contradictory acquisitions and new, risky curatorial moves that presented American and European artists side by side. The spark of Outsider Art illuminated Folk Art exhibitions throughout the 1980s, including the Corcoran Gallery's seminal Black Folk Art in America:1930-1980, Muffled Voices: Folk Artists in Contemporary Art at the Paine Webber Art Gallery in New York and Baking in the Sun: Visionary Images from the South at the University of Southwest Louisiana. These and other exhibitions forced a radical split between the traditional and the contemporary aspects of this field. Contemporary Folk Art became synonymous with Outsider Art, despite scholarly rejections on grounds of political incorrectness. By the early 1990s, Outsider Art was poised to challenge the arbitrary boundaries of the art world. 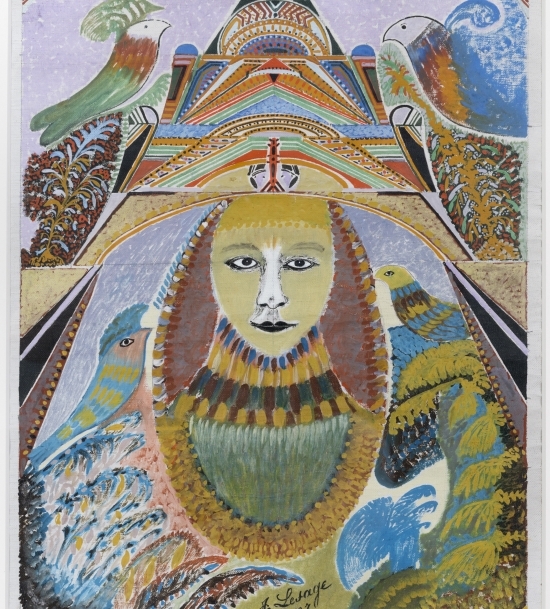 LACMA's 1992 exhibition Parallel Visions: Modern Artists and Outsider Art demonstrated the powerful influence Outsiders had exerted on the mainstream, from the early 20th century on. 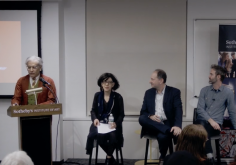 During the last two decades, experimental curators and commercial art dealers have played a major role in staging hybrid shows including After Nature at the New Museum (2008), Dargerism at the American Folk Art Museum (2008), and Glossolalia at MoMA (2008), that combined Outsider and Insider Artists, rendering the constructs of mainstream and margin obsolete. The most profound development in the recent history of Outsider Art has been the global emergence of art fairs and events dedicated to the work of Outsiders such as the Outsider Art Fairs in New York and Paris, as well as the increasing inclusion of Outsiders in long-established international exhibitions such as Documenta, the Carnegie International and more recently, the groundbreaking Venice Biennale #55 (2013), named The Encyclopedic Palace by curator Massimiliano Gioni to honor the vision of Italian-American Outsider Artist Marino Auriti. Gioni's risky reversal of inside and outside is Outsider Art's latest challenge to an art world whose walls are crumbling fast. American Folk Art Museum's exhibition "Paa Joe: Gates of No Return" featured in Time Out New York. On November 18, LACMA Los Angeles County Museum of Art will open the third leg of "Outliers and American Vanguard." The exhibition Art Brut from Japan, another look offers works by twenty-four contemporary creators, presented for the first time in a museum institution in Europe. The New York Times reports that the Souls Grow Deep Foundation will help five more museums acquire works by self-taught African-American artists of the South. This weekend, the Friends of Pasaquan and the Pasaquan Preservation Society presents Pasafest, a festival to highlight the cultures of the Southeast and celebrate the life and traditions of the visionary artist St. EOM (Eddie Owens Martin). This phenomenal piece by Adolf Wölfli just sold for $795,000 at Sotheby's Auction House in the Marsha and Robin Williams sale! The New Yorker reviews the new Bill Traylor retrospective, now on view at the Smithsonian Institution through March 17, 2019. Andrew Russeth has written a tribute to Phyllis Kind in ARTnews Magazine, which delves into her extraordinary life and chronicles her achievements in the art world. PÒTOPRENS: The Urban Artists of Port-au-Prince brings together the work of over 25 artists working in the Haitian capital. After over 180 irreverent exhibitions, a beloved Paris gallery prepares to close its doors. "Charting the Divine" at the American Folk Art Museum has been selected by Jerry Saltz as one of this week's To Dos for New York Magazine. Self-taught art is "genuine, immediate, and candid," says the museum's new director, Jason T. Busch. 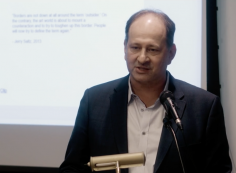 The American Folk Art Museum announced Wednesday that Jason T. Busch will take over as its executive director in September, replacing Anne-Imelda Radice, who stepped down in March after nearly six years with the institution. An Austrian museum presents a wide-ranging survey of works made over almost 50 years by residents and other autodidacts associated with the Art Brut Center Gugging, near Vienna. The universe of the graffiti master turned astrofunk storyteller in a bracing show reveals his lifelong battle against the limitations of form. Sotheby's Institute New York. 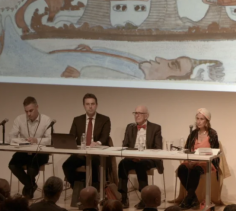 Featuring panelists Andrew Edlin (owner and CEO of the Outsider Art Fair), Edward M. Gómez (senior editor for Raw Vision), Scott Ogden (owner of SHRINE New York), and outsider artist Daniel Swanigan Snow. Recordings courtesy of Stropheus Art Law”. 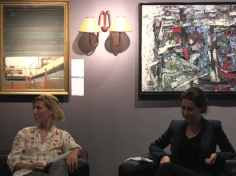 Panel discussion with Franz Wilhelm Kaiser, Choghakate Kazarian, Agathe Snow; moderated by Vincent Noce.